To change the color of your own bike is not as difficult as it may seem at first. And it is not obligatory to buy the parts and the frame a different color. To repaint your favorite bike correctly and efficiently, you just need to strictly adhere to certain recommendations. 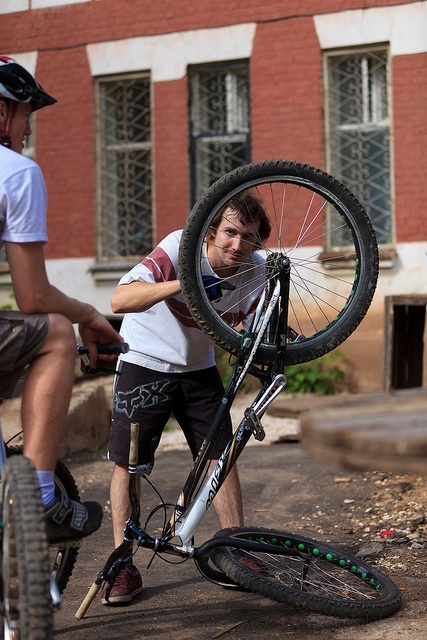 First, carefully prepare a bike for painting. To start off bike all parts to completely release the frame. So to repaint the bike will be much more convenient. The next phase of work need necessarily outdoors or in a room that is well ventilated. Using paint thinner to gradually remove the old paint, then carefully scuff the frame, trying to align all the scratches and other damage. In the case of the frame of the bike too noticeable scratches or dents buy cold welding, which align all the defects. Hang the frame on the prepared device (this can be a rope on the hook) and uniformly clean the entire surface using white spirit. After the process of degreasing, apply a smooth layer of primer. To do this, use spray or convenient brush. Note that conventional primer has a thicker consistency than primer from the spray. So the first use is preferable. Wait until the primer is well dry, usually it takes about a day. To dry the primer needs at zero temperature (at least 5 degrees). After complete drying of the primer, repeat the process of otkusyvanija to achieve a perfectly flat surface. Get acrylic paint to repaint the bike the most comfortable. This paint perfectly well to go to the surface and dries relatively quickly. The easiest way to paint the frame with the paint in the can. Apply the dye as evenly as possible. Please note that to apply the paint only needed one time. Express repainted the frame in a room with a palpable air circulation. To dry the painted frame of the bike will be at least a day.